White plastic base with white rubber lid. Pictures and text provided by Loz Pavier. 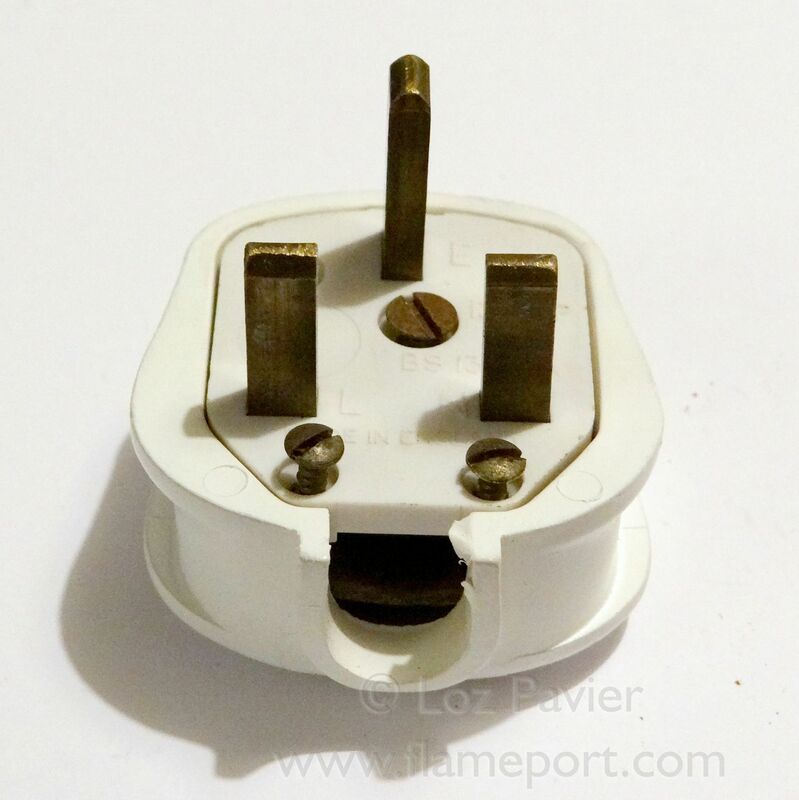 A Marbo brand plug manufactured from a rubberized/shock proof material. Marbo exist today, making budget electrical accessories. This example features a hard bakelite type base for the connections and pins, covered by the rubberized lid. 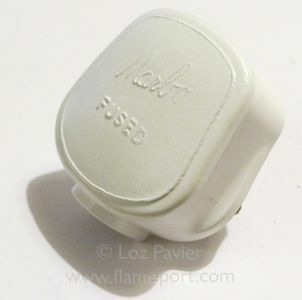 This uses the same base as the Ever Ready rubberized plug, and several other related brands of the day. The cord grip is made of the usual compressed paper of the era and the original 5a Marbo fuse is fitted, with no ASTA certification. The lid was very yellowed and damaged upon acquisition. 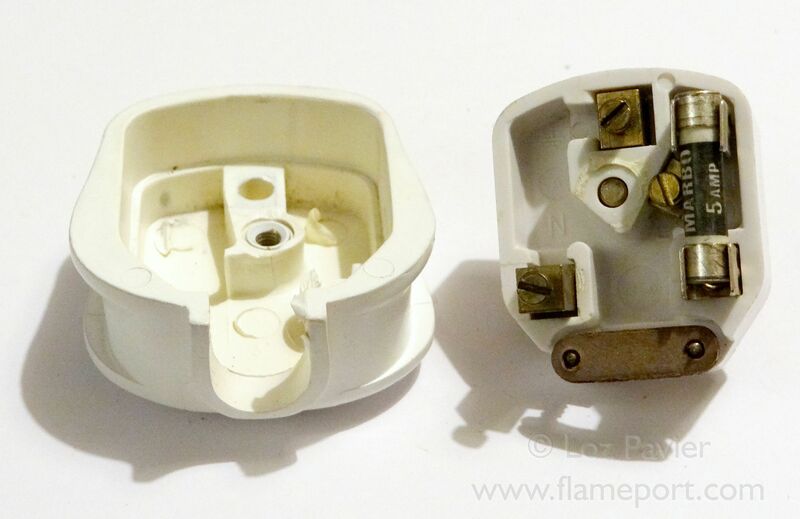 This plug is to be used as a display piece, so has been resprayed in high white. It was however, more likely to have been a light cream color originally.